Memory Theatre was a travelling exhibition co-produced by the Vancouver Art Gallery and the Canadian Centre for Architecture that offered a view into the creative process of Richard Henriquez, a major figure in Canadian architecture. A compendium of Henriquez’s models, collected objects, drawings, sculptures and notebooks provided insight into the architect’s unique method of design, which is driven by both a rich personal cosmology and an attempt to help define the relationship between individuals and the visual world. 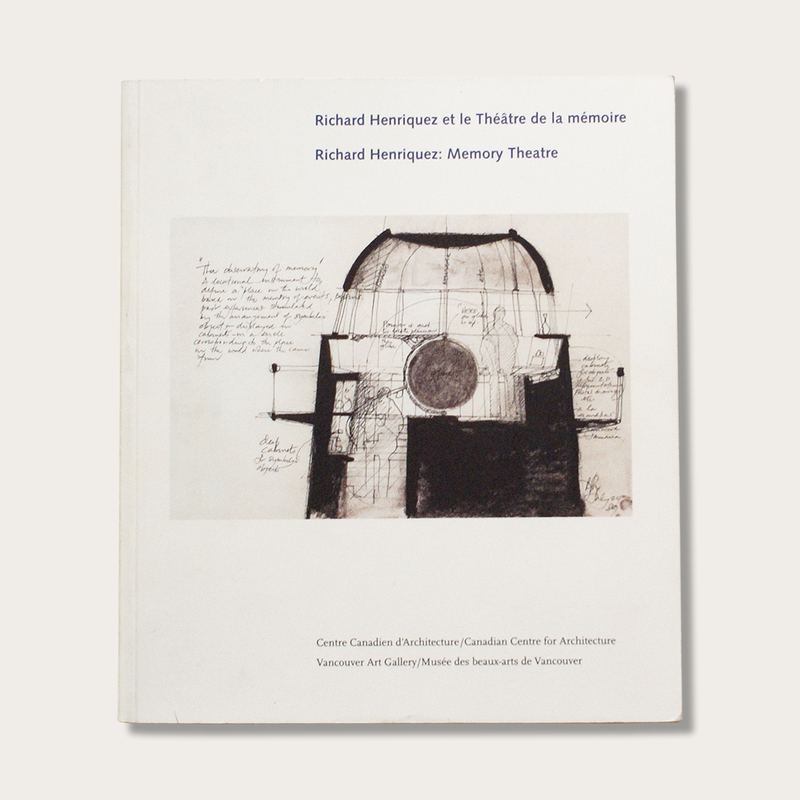 Richard Henriquez: Memory Theatre is a monograph that elucidates the exhibition and the artist’s work. Featuring essays by Alberto Pérez-Gómez and Howard Shubert, text by Henriquez, and a portfolio of photographs by Geoffrey James, the book is an in-depth exploration of the symbolic lexicon of Henriquez’s work, his contribution to the built environment and the theory of architecture. Richard Henriquez: Memory Theatre reveals the poetic sensibility of an architect whose career has spanned almost 50 years.